On 24th February is the romanian Valentine's day- Dragobete. 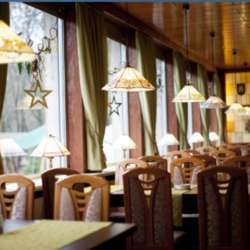 The Romanian restaurant invites to a relaxed, family atmosphere surrounded by nature. Whether home-style Romanian cuisine or international specialties, they would be happy to cater for our every need. We think this evening will be relaxing and cheerful! We'd be glad to see you there!